I think everyone should have a multicoloured shot. Because its Friday and you only live once and they are so pretty!! 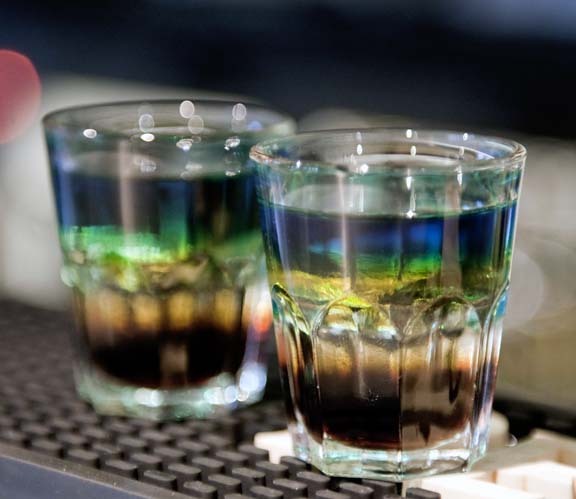 I am not normally a fan of fancy shots, I must say but I was doing a shoot on Monday night in a bar and these little beauties were served up to take photos of. I can’t tell you what they tasted of but apparently they were good. Basically what I want to say is its Friday – have a good, fun and full weekend!